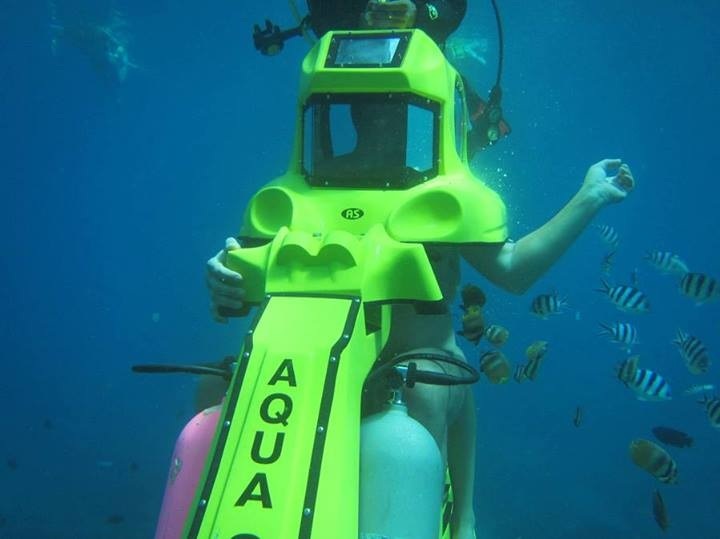 We invite you to a fascinating adventure in oceanic underwater great spaces with our promotion price. You will dive into a fairy world of unforgettable impressions and will meet many unique dwellers of Indian Ocean. 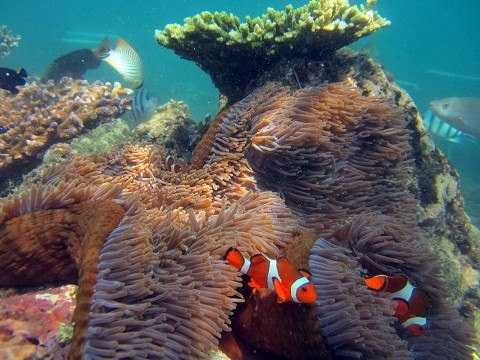 Enjoy the beauty of underwater world flora and discover something new and interesting for you. We are the first in Bali to do diving using underwater scooter. 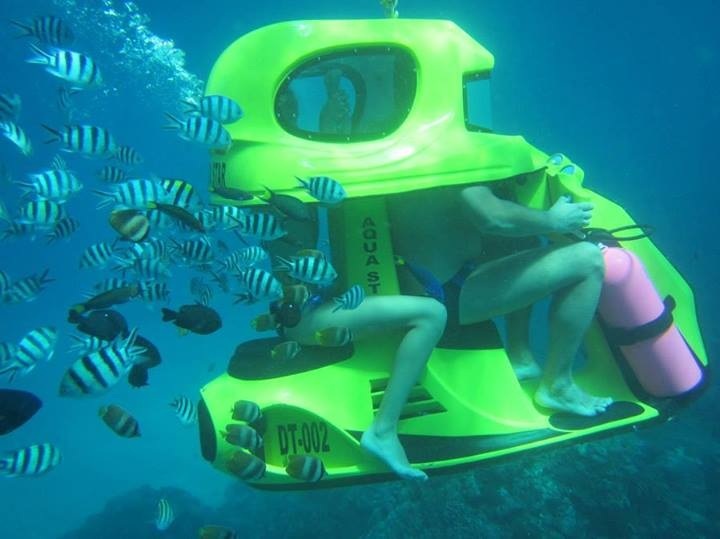 In just a few minutes, a man is able to master the control of underwater scooter and make a fascinating underwater traveling. By controlling the device, you can enjoy an unforgettable flight in zero gravity, stopping and hovering at the desired places. 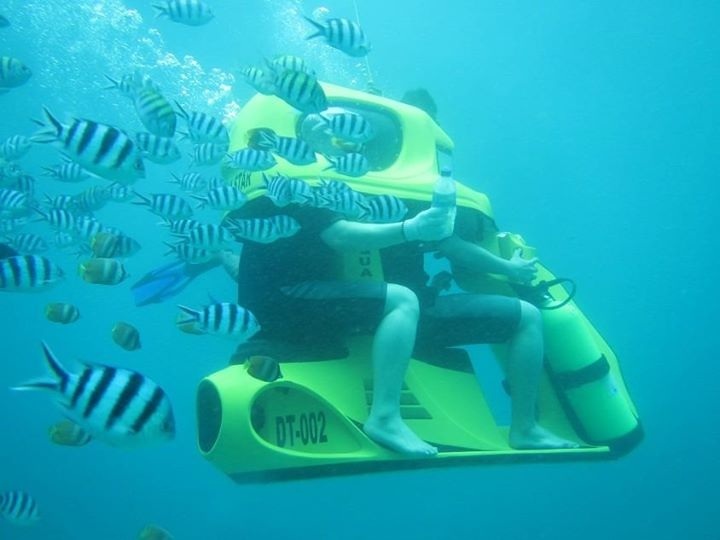 Grandparents, children and adult, those who have never dived with scuba, will be able to enjoy riding on our underwater scooter. 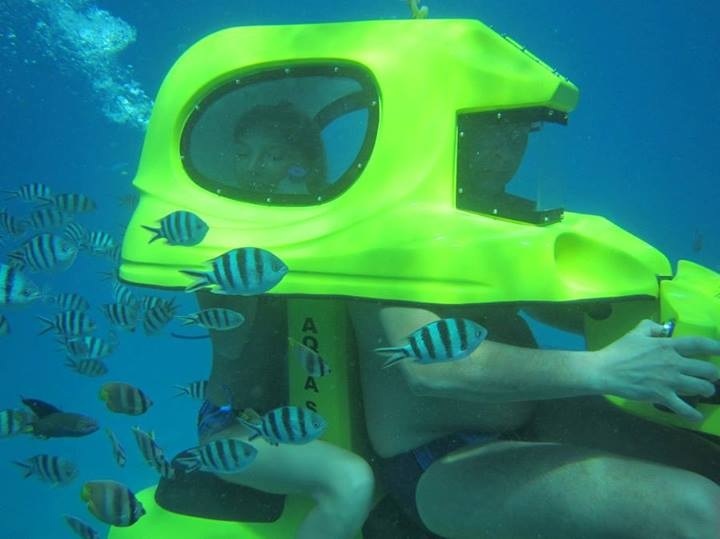 The purpose and the goal of our company is to bring closer the distance between people and the ocean, to make underwater world more accessible to the men.​​​​﻿ Aqua Star travelling is the best underwater tour in Bali. 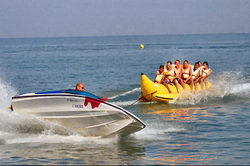 We are always glad to seeing you in our Marine Sport! 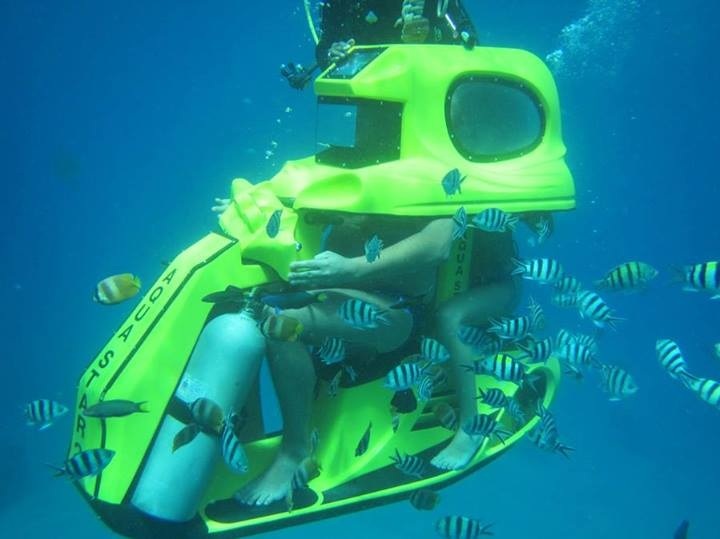 The underwater scooter has two engines, one for advance, another for movement upwards. The button advance management is on the right side of a wheel. The movement button upwards – on the left side of a wheel. 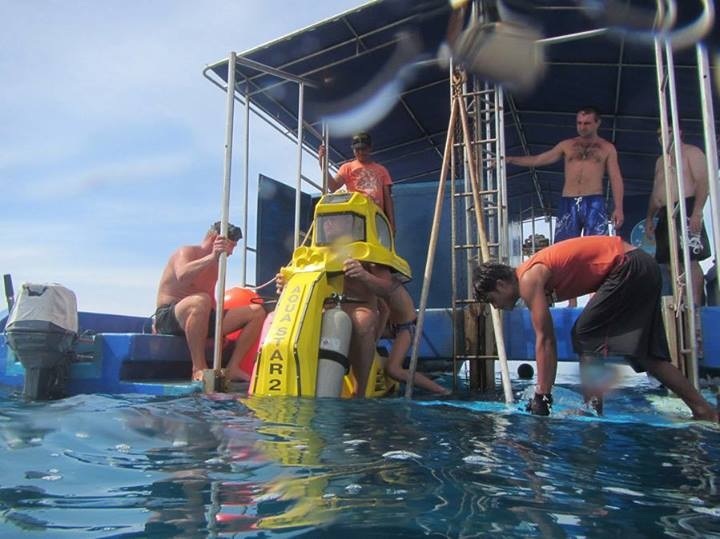 Depth of 4 meters allows you to be under water as much as necessary without decompression consequences. 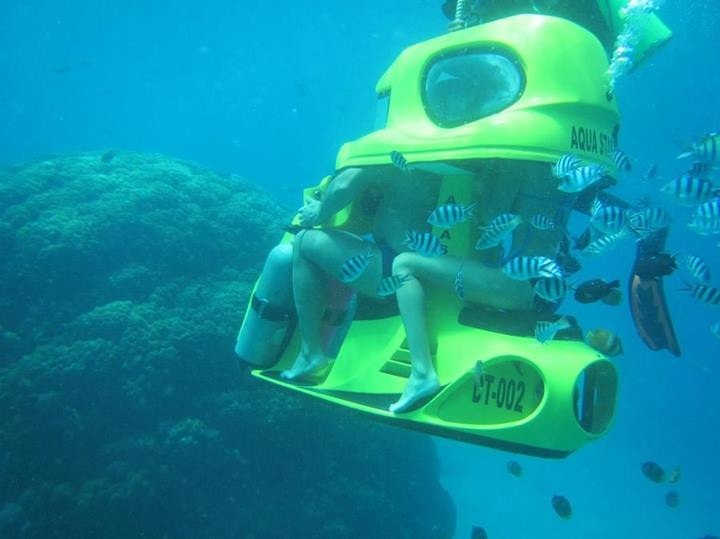 you will be accompanied by our instructor, and also to show delights of the underwater world .